What Is Dropshipping About and Is It Right For You? If you’ve ever thought about earning a second stream of income with your computer, you’ve probably thought about selling products online. One of the most popular ways to start your online business selling products is with dropshipping. What is dropshipping about? I’ll give you the details so you can decide if it may work for you! How Can You Make Money From Dropshipping? Is Dropshipping Right For You? Simply put, dropshipping is a retail method where you don’t keep your inventory in stock. In traditional retail selling, you purchase a stock of inventory, sell it online, and ship it to your customer. With dropshipping, you partner with a manufacturer or wholesale supplier who keeps the inventory and ships the products to your customers after you make a sale. For a beginner or for someone who has no way to keep inventory, dropshipping can be an excellent way to start selling products online and earn another stream of income. EBay–A lot of sellers who utilize a dropshipper sell their products on EBay. If you’re a beginner, you can sell items through individual listings to get your feet wet. But once you start selling more quantity, you may want to open an EBay store. SaleHoo Storefront—SaleHoo is a wholesale supplier directory that offers a storefront package for you to sell products. Their prices are extremely reasonable, and you can be set up to sell your items within minutes. Your own website–Do you have a blog or want to start your own website about something you’re passionate about? If so, that’s a great way to sell products using a dropshipper. You can create your own website easily through WordPress. But if you want more education and training to build your own website, you can sign up for Wealthy Affiliate’s free membership and access the tools their platform has to offer. 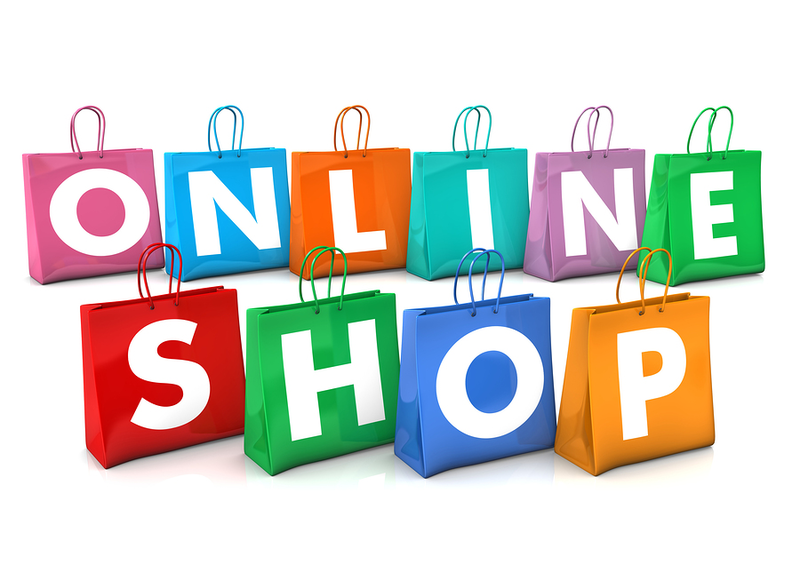 Shopify–One of the newest online stores, Shopify has a platform where you can sell products as well as services. In 2017, they partnered with Amazon to allow merchants to sell their products on Amazon from their Shopify stores. Every one of these platforms has training and education to give you as much information as you need to start your online store. I encourage you to look at each option to see which platform fits your niche, style and budget. No matter how great your storefront or website may be, without great products and reputable wholesale suppliers, you won’t be a success. My #1 recommendation for finding both of these is SaleHoo. SaleHoo is a paid wholesale supplier directory service that researches every supplier and holds them to extremely strict standards before they are allowed to be listed in their directory. 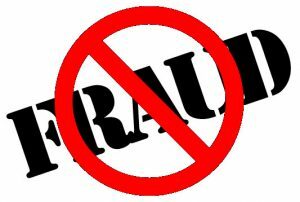 This is an industry that is known for scam artists and illegitimate foreign suppliers that will take your money and ship inferior products, or not ship them at all. SaleHoo’s 8000+ directory of verified, legitimate companies include wholesalers, dropshippers, and liquidators. No matter what product niche you choose, SaleHoo will have a list of reputable dropshippers that you can trust to ship quality products to your customers. Again, SaleHoo is my #1 recommendation for finding great products to sell online. In order to help sellers keep up with current trends, SaleHoo inputs 5,000 products each week into their Product Research Lab. Sellers can then use filters to come up with hundreds of product ideas to compare to the current trends. SaleHoo also has an extensive training guide that takes you through the process from beginning to end. They not only show you how to evaluate popular products, but how to evaluate how much competition there will be when selling them. Low monthly overhead–Since you’re not dealing with inventory, office space, shipping, etc., you have very low overhead. You can easily start your online business for less than $100 a month starting out. Location–Virtually, anywhere you have room to set a laptop is where you can run your business from. This makes running an online business easier wherever you are. Product Diversity–With dropshipping, you literally can sell thousands of products on your site. You’re not limited by how much inventory you can buy and store in a warehouse. This flexibility gives you the option to sell any great products that work well in your store. Easier to grow larger–Using a dropshipper makes it much easier to grow your business. If you are keeping your own inventory and shipping it to your customers, increased sales can easily get overwhelming, requiring you to hire additional help. But that extra work will be done by your dropshipper, leaving you free to do more value-added work, such as researching more great products and expanding your site. Lower Profit Margins–Dropshipping is a popular way for beginners to sell online due to the low start up costs. This means that there is a lot of competition out there willing to sell products with very slim margins. Unfortunately, many customers only look for the lowest price, so other sellers can undercut your price with inferior products. If you are using the SaleHoo directory, their training guides are great at helping you navigate the waters when choosing products that have an acceptable profit margin. Multiple suppliers–As your store grows, you will be working with multiple suppliers. When your customers order more than one product, it’s likely that you’ll need to fulfill the order with more than one supplier. You will incur a separate shipping cost from each supplier, which could be costly for the customer if you charged them an amount to cover each one. Excessive shipping will, of course, discourage customers from buying items from your store. You’ll need to be sure that you can still make a profit after figuring in extra shipping for some orders. 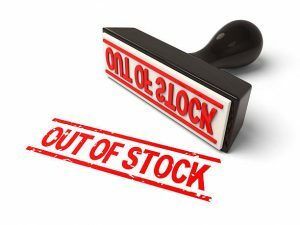 Out of stock situations–If you’re stocking your own merchandise, you know exactly how many items you have to sell and can update your site very efficiently. But when working with dropshippers, there could be items out of stock that you’re not aware of until after a customer has placed their order. While technology is getting better every day in this area, there will still be times when you will have an out of stock situation. Errors by suppliers–No matter how great any dropshipping company is, there will be occasional mistakes made by them. When that happens, you will need to keep your brand’s reputation up by giving good customer service, accepting responsibility for the error and doing what you can to fix it. The eCommerce business is only getting bigger and stronger each year, and it’s getting easier and easier to be a part of it. Whether you want to earn some extra income part-time or make your online business your full time career, dropshipping is a great option to consider. Selling products online is not a get-rich-quick way to make money. It takes knowledge, hard work, and the right set up relative to the time and money you have to put into it. I found that dropshipping was the best way for me to sell my products online–is it right for you? Thank you for this article. I have often wondered what drop shipping was. Now I know. Once I get my current business on its feet and running smoothly I thought about starting another. I may want to try drop shipping. I love the fact that you aren’t limited to just a couple products. To me, it seems there is more money to be made than with promoting for amazon or eBay etc. 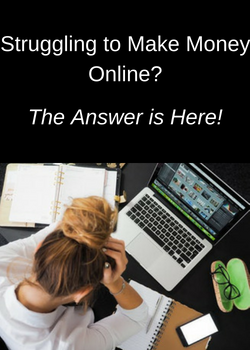 Affiliate marketing will always be my favorite way to make money online, but you are right, it can definitely be done with selling products online! Thank you for taking the time to comment! 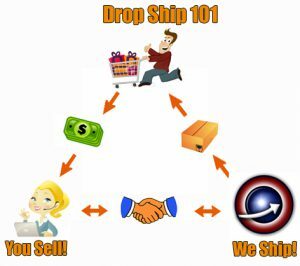 I have never heard of drop shipping before this is my first time and I think I am interested already seems like a nice way to run an online business, I especially like the fact that it is not a get rich quickly because I like working my to the top. Dropshipping can be a great way to get into selling products online for beginners. What I liked about it when I first started out was the fact that I could spend more time building my business since I didn’t have to keep track of inventory and ship the items. Thanks for taking the time to read and comment! My husband and I did some droppshipping in 2015. We were making money, and it was exciting at the time, but we found ways we were more excited about making money. I agree with you that affiliate marketing is great. The content marketing piece behind affiliate marketing isn’t for everybody though. Dropshipping can definitely be a great alternative to people who don’t want to do content marketing (podcasting, blog writing, video marketing, etc.) because it really doesn’t require much marketing effort to make money. I totally agree with you, it seems as though people either like selling products with dropshipping or affiliate marketing. When I did dropshipping a few years ago, I really liked it, but I enjoy the blog writing and content marketing with affiliate marketing so much that I’ve concentrated on that much more now! I have been doing dropshipping with eBay for a good while now me I have to back you up on the effectiveness of it, when you are willing to put in the effort needed to make it work. Glad to hear dropshipping is working for you! If you try other storefront options, I’d love to hear how they work for you. Thanks for stopping by! This was a really interesting article, i have heard about drop shipping before. I heard it can be very complicated and you have to make sure you ship them the right product they ordered and make sure what they want is in stock. But if you get with a quality drop shipper, it sounds like there are some great advantages. I’ll definitely be looking into drop shipping more! If you’re looking into selling products online, dropshipping can be a great option for those who don’t have the room to store products and ship them. Using 1 or more dropshipper that has a good reputation for being reliable is the key to being successful with this system. Thank you very much! Dropshipping can be a terrific way to start an online business as long as you’re aware of the pros and cons. With eCommerce showing no signs of slowing down, there are more chances than ever to make a living with this business model. You’re exactly right! No matter what type of online business you want to have, always keep your customer in mind. If they have a great experience, they’ll be back and recommend you to others. If not, they’ll steer others away from your site. Affiliate marketing is definitely simpler than selling products online, even with dropshipping. When I sold products with my site, I worked with 2 different suppliers, and it went well. I only had one instance where the inventory was sold out, but I offered the customers an upgrade for the same price. I didn’t make much money, but made the customer happy. With affiliate marketing, you don’t have some of the headaches that come with selling products online. But for many who love dropshipping, it’s because the profit margins are higher. Personally, I love both business models, and they’re both very lucrative! This is a great article. I did once look into drop shipping but it seemed like a lot of work for the return. It is great that you dont have to hold inventory or have office space. Myself I am a committed affiliate marketer and doubt that will ever change. 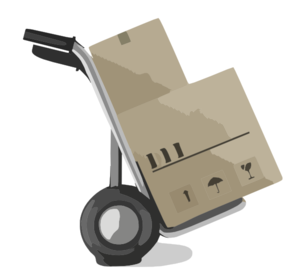 However drop shipping is a great alternative for someone looking for something a little different. 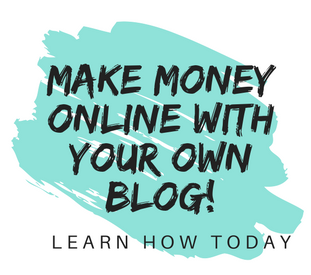 When I started a new online business, I also decided to go with affiliate marketing due to the time constraints I had with my full time job. For me, I really enjoyed dropshipping, but it was more time consuming. Now that I’m able to run my online business full time, I intend to start a dropshipping site again. That’s one of the wonderful things with the Wealthy Affiliate program where I host all of my websites–I can have up to 50 websites without any additional costs! I have seen drop shipping before, the idea is quite brilliant because you don’t have to keep stock or set up real estate to house said stock. This is a great way to help people get what they are looking for while also making an honest percentage of the transaction by making it easier for suppliers to sell products and consumers to find stuff they want. I think like you have said, drop shipping is great for beginners in the online world to get some experience and also build up s client base who trusts you. I think it is definitely a great option to look into. This sounds very interesting and according to your detailed article I can see myself trying it out. I had a few thoughts already to do something like this but, as you have said in your article, the reason I didn’t go further was to have a huge inventory to begin with. Reading about Dropshipping brings things in a total different prospective and it sounds more than logical to me to go that road. I appreciate your review and making it easy to understand. I certainly have saved your site for further refference. I’m so glad you found it helpful, and good luck to you! I’ve gotten somewhat educated on drop-shipping and on affiliate marketing, which is to say that I’ve learned about each and have dabbled in one of them. I may be a little hung up, right about now, on the disadvantages of each. On the one hand, there’s the need for content marketing–which can be cumbersome and tricky, if you’re not doing it right–and, on the other hand, there’s the need to handle supplier-generated errors associated with drop-shipping. On the other hand, I’m somewhat new to all of this and somewhat invested in affiliate marketing and am likely to continue down the road I’m currently on. Thanks for the reminder of how drop-shipping works and the sense I now have that I’m on the right track. You are welcome, and I wish you every success with your affiliate marketing business! If you’re interested in selling products online, dropshipping can be a great way to get started, and sites like SaleHoo and Shopify have made it as easy as possible for someone to create an online store. Good luck! I have been considering doing dropshipping for a while now. Thank you for explaining dropshipping in a very comprehensive way by laying out the pros and cons. In fact , this afternoon I was just talking with someone that is doing dropshipping and it appears to me too that the profit margin is not very high. With only limited time on hand that I can spare to do my online business, I got to choose what I do very wisely. After reading your post, I have made up my mind to focus on my affiliate business first. Thank you for sharing your knowledge on dropshipping! The profit margins are smaller when you choose to use dropshipping when selling products online. With limited time, it’s very smart to choose the business model that works best for you and makes every moment count the most! thanks for such informative and detailed article, I’ve really enjoyed reading it and learning something new today. I have heard about dropshipping in the past, however I’ve never dedicated my time to learn more about it as I was very focused on affiliate marketing and didn’t have any desire to learn about other types of online business. Therefore, I am very happy that I”e stumbled across Your article as I can finally see what’s the all fuss about regarding dropshipping. After reading Your article, I immediately understood that Dropshipping is not something that I would be particularly interested in. It didn’t caught my attention due to fact that its primary focus is product sales, rather than content creation. What I love about affiliate marketing is that You dedicate Your time and energy to learn new things and then translate all of that knowledge into a fun & valuable content creation which You alter share with the world! By doing that You feel special and unique. It gives that sense of satisfaction that You are creating something to help others and educate them by passing a valuable knowledge, while dropshipping works basically as an online store with main focus to just sell the products. And that is not a bad thing by any means, it’s just not for me. Thank you so much, and I’m very glad that you found it helpful!